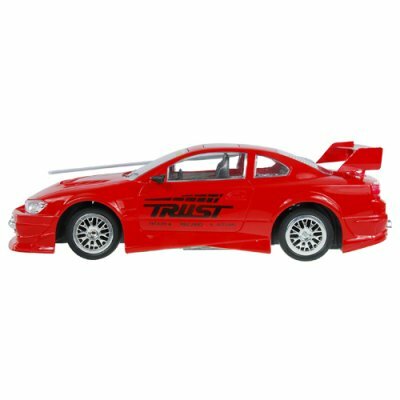 Successfully Added Radio Control Red Speed RC Racing Car to your Shopping Cart. This RC toy is also a street racer's dream come true with replica nitrous oxide (NOS) tank where backseats should be. It's a handy weapon to have when you want to suddenly distance yourself from pursuers. No detail has been overlooked as the car comes with a drifting handbrake for Japanese style racing. Two inline power amps and three earsplitting subwoofers complete the package for a ride you'll be proud to own.